TSW was retained by the City of Decatur to prepare a master plan for the land adjacent to the Avondale MARTA station. 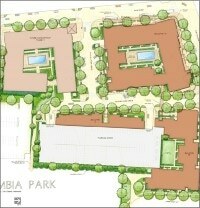 The Columbia Park Station represented an unprecedented opportunity to set the standard for neighborhood-scaled transit-oriented development in the Atlanta region. As the first project following completion of the LCI study, this project was intended to set the character for the transformation of the area from a collection of disconnected industrial uses, into a mixed-use neighborhood. TSW’s approach built upon the inclusive LCI process to create a master plan, schematic design, design development and streetscape construction documents that excel in design quality, while reflecting the needs of key users. The key elements of the community-based project included a rail and bus transit intermodel facility with housing, retail and parking. This was achieved by dividing the site into a series of new urban blocks. Pedestrian-oriented residential uses line these new streets and define the core of the site. Along College Avenue a continuous and cohesive retail core was created to capitalize on traffic and visibility. By using a community-based process, TSW developed a master plan that integrates a rail and bus inter-modal facility with housing, retail, and parking. One of the key elements of this plan is breaking up the existing super-block through the introduction of new, tree-lined streets. New four-to-six story residential buildings line these streets, defining the public realm as a high-quality space and ensuring safety through sidewalk-orientated architecture. 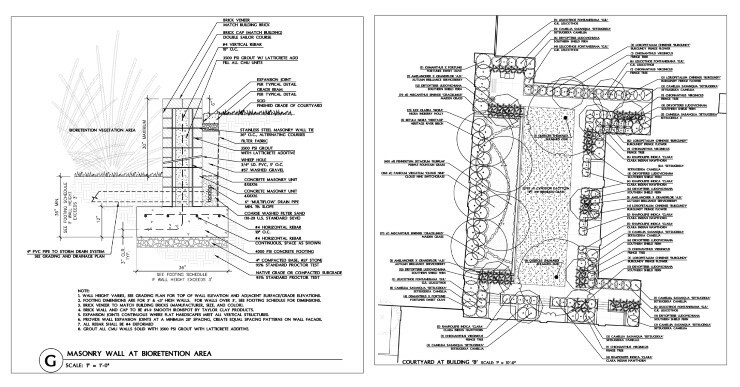 Streetscape construction documents follow GDOT guidelines and standards. In addition, Columbia Park is also seeking a Leadership in Energy and Environmental Design (LEED) certification for phase one apartment buildings and associated site work. As a project team member, TSW is responsible for designing the site in accordance with the guidelines for Sustainable Sites (SS) and Water Efficiency (WE) outlined by the LEED reference guide version 2.2.